Defined eyebrows instantly makes you look more polished. An eyebrow pencil is the easy “instrument” to create perfect shaped eyebrows. Full, groomed eyebrows frame your face and can bring harmony to your features. Whether you have eyebrows that are too light to see, are sparse, over-plucked, or just need a little definition using an eyebrow pencil can give you that shaped brow you're looking for. A eyebrow pencil when used together with a perfect eyeshadow and highlighter pencil can give you breath taking and glamorous look. For daytime use, you need the most natural looking pencils for your eyebrows. This will ensure that they are hardly noticeable yet, but still will give you that glamorous look. 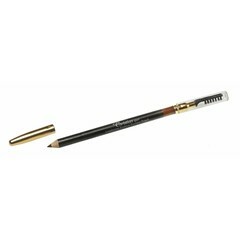 You can find online www.bransus.eu a wide assortment of Christian Faye eyebrow pencils or NOUBA eyebrow pencils. 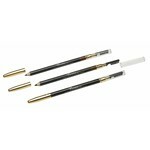 The products can be ordered in our webshop and will be delivered within one working day. View our wide range of eyebrow make up products and order easily online.